Jaecee and Chaylynn Martin played their hearts for CBC on the Basketball Spotlight circuit for years. They combined to win several Spotlight championships in represent themselves in showcases and camps. Basketball Spotlight is proud to present them with the 2013 J.E.M. Memorial Scholarship. 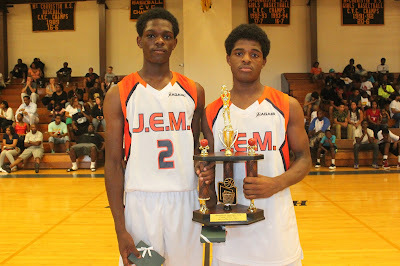 We wish the Martin brothers well on the high school level and will miss them dearly.